The best of yoga and Pilates in one class. Fuse the asana flow and breath-work of yoga with the core strength, focus and precision of Pilates for an unforgettable workout. 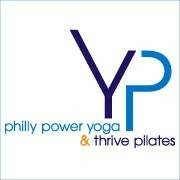 There are no upcoming “YP Fusion” classes on this day. Good class. Teacher was nice and a instructor. Class wasn’t really hot or challenging. Not focused or intense enough for a one hour flow that’s supposed to incorporate Pilates! A great, very challenging class. The studio is heated, so prepare for that. Ewa, the instructor, was awesome! She lets you, the student, decide how the class will go - fast be slow, more Pilates or more Yoga. Really enjoyed it. Get ready to sweat! The instructor talked most of the class. No music or hands on adjustments. Poses were held quite long so it felt like a hatha class. The studio is by no means a boutique studio. The mat I paid for smelt kinda gross. Probably wont come back. Colette was amazing! The class was small so we did a lot of fun poses and she was very helpful with adjustments and modifications. I cant wait to take her class again! Loved it a lot. Great instructor! Challenging and fun! You'll break a good sweat! Lynsey was very helpful and clear with her instruction.